What aspects of your life would you improve upon and which are you content with? Don’t focus on what others say, be it your parents, in-laws, your partner or your friends. Don’t follow the latest fad, whether it’s being an entrepreneur, doing yoga or skydiving. If that’s just not your thing, why jump on that wagon? ¿What would YOU like to achieve? What do YOU want your day-to-day look like? And what can YOU do now to take another step towards your goals? Happiness should not be postponed. I know first-hand that you can be joyful even when you’ve lost everything that supposedly provides security. So, stop thinking you will be happy when you have this or that or achieve the other. Many things impact your mood and your energy level, mostly your thoughts. Metaphysics aside, you can choose to face life as a good sport and with determination, or as if it were a bad toothache. The Spanish philosopher Ortega y Gasset advised us that life cannot be lived the second way. [from Latin successus an outcome, from succēdere to succeed]. 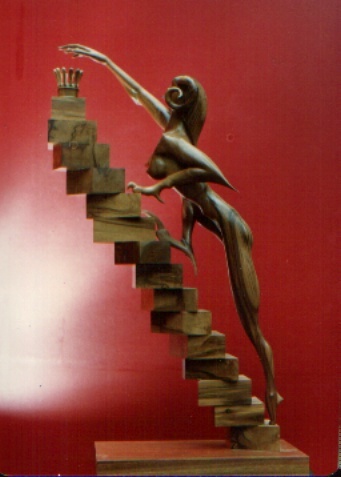 Success is relative, although here are countless books and articles that use millionaires, rock stars, political and spiritual leaders as examples of it, when in fact, very few people attain that kind of mega-success. What´s more, the reader may feel let down when he realizes he didn´t make it to the top after reading the how to book that promised all kinds of prosperity. On the other hand, celebrities such as Michael Jackson, Ernest Hemingway, Christina Onassis or Marilyn Monroe are proof that public acknowledgment and financial wealth do not guarantee happiness. That doesn´t mean that we should lower our standards and be content with just getting by, with no goals or purpose, but that we must rethink our personal concept of success. If you discover what success means to you, what you are passionate about, then if what you really want is to be a stay at home mom or find a job instead of being an entrepreneur, you won´t consider that a failure, because it´s what satisfies you. Of course money makes life easier, but it doesn´t always bring happiness. Public recognition is a boost to the ego, but it will never be enough if, for instance, you suffer from low self-esteem. Having your dream job is great, but if your profession destroys your family life, is it worth it? Success is - or at least I see it that way - a lifestyle, a journey and not a destination. It´s living with purpose, in a constant state of gratitude. I´ve spent the last two years cleaning up the messes of the past, and it´s a draining and emotionally and mentally taxing deal. While doing the complex paperwork some of this entailed, I thought a little too often of what a time-waster it was and how I could be doing much more productive things, such as enjoying my kids, writing, exercising or hustling for freelance gigs. Even sticking pins into my eyes sounded more appealing. I also spent a little too much energy feeling angry because the spills I was cleaning up were not mine alone. I felt a little (sometimes a lot) resentful, because I was paying dearly with all my hard-earned money and my precious time, while others, equally responsible, were without a care. I have learned this in the process, however: feeling angry and sorry for myself did not fix the problem. Asking others involved to take care of their part and being frustrated because nothing was done, certainly did not fix the problem. Taking full responsibility of it and tackling it myself did. And, even though tackling it head on also meant losing everything material – again – at the end of the process, it also meant gaining a sense of responsibility and peace of mind that is priceless. I know people who shove unopened envelopes and other problems into a drawer, for years on end, hoping that they will stay there. Alas, they don´t. They grow, and while they do so, they eat away at your very soul and of those around you. 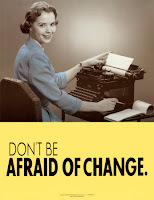 I recommend facing issues as they arise, since most don´t just go away. Trudging in the mud is not easy, but when you pull yourself out on dry land, you feel weightless and ready to take on the world. Face the music and the saddest song will eventually turn into a happy tune. Starting Over: How to Find Love when You've lost Hope. In a couple of weeks, my sixteenth book will be hitting the bookstores. 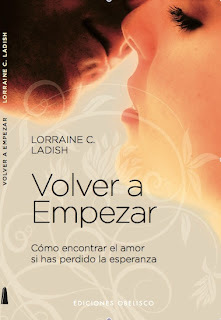 The title in Spanish: Volver a empezar: cómo encontrar el amor si has perdido la esperanza (Starting Over: How to find love if you’ve lost hope), published by ediciones Obelisco. Every one of my books is filled with experience and learning, a lot of work and plenty of enthusiasm. Following, is the text of the back cover and although it will soon be available in any bookstore it can be reserved at Jardín del Libro. If you read Spanish and would like to receive updates, click here. Thank you from the bottom of my heart to the readers of my blog and my books, since having readers is what enables me to continue to publish. Would you like to start a new relationship but find you’ve lost hope, think it’s too late or that the wounds of negative past experiences will never heal? Life is too short to stop taking risks in any aspect of life, including love. When a writer’s manuscript is rejected, he cannot consider that his career is over. Likewise, when a marriage is over, that does not mean that the next relationship is also doomed. The first step towards being in a stable and happy relationship is to keep an open and fresh attitude towards love and friendship. What applies to love also goes for the professional field: those who learn to reinvent themselves during a setback are more likely to find a better job or follow their calling and succeed than the blamers and complainers who are not proactive. No matter what your age, whether you are separated or divorced, have children or not, this book will help you understand that attitude is everything and that it is possible to be happy in a new relationship. You Could be a Host Family for Exchange Students from Spain! It’s a small world! Three years ago I reconnected with a friend I had gone to school with in Spain, at King´s College, 30-some years ago, and it turned out we both live in Florida, albeit in different cities. 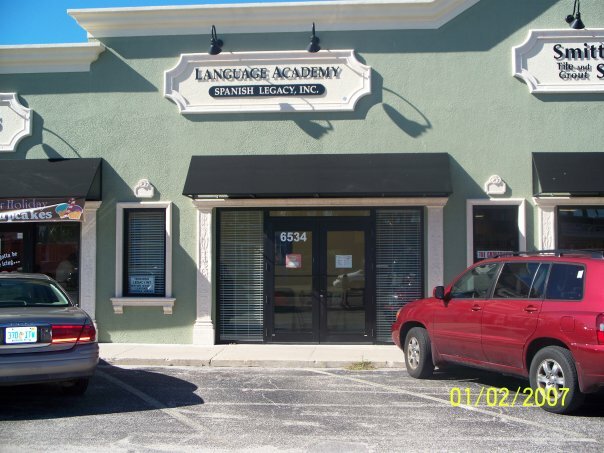 She is the owner of Spanish Legacy, in Sarasota, FL and is now preparing English camps in Sarasota for Spanish students. The youths enroll in two-week camps in which they stay with American host families during evenings and weekends and spend most of the day at camp, learning English and participating in a host of activities. Being bi-cultural and bilingual myself, I can only speak of the benefits of learning first hand about other cultures and languages. It broadens your horizons and opens doors that are closed to those who only know their own culture and language. This is a modern-day reality. The more languages you speak, the better equipped you are to network with the whole world! The Internet has made this possible. If you have teenage children, you may want to consider inviting a Spaniard into your home and make him or her a part of your family for two weeks or more next summer. Spanish Legacy carefully selects the host families and the exchange students and it is a win-win situation for both parties. My children, also born of bilingual and bicultural parents (multi-cultural would be more accurate!) attended Spanish Legacy last summer to learn Spanish, and I can say that every trip they take to their other country, Spain, brings them back more fluent and more open-minded and self-confident. To know more about Spanish Legacy and their summer exchange programs in Florida, visit www.spanishlegacy.com . 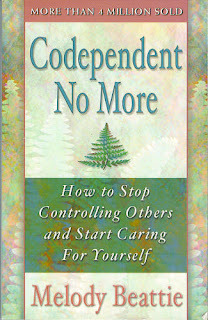 Almost 17 years ago, a friend introduced me to the book Codependent No More, by Melody Beattie. Her books had been around for a while, but they say that when the student is ready the teacher appears, and not a moment before. I devoured that book, Beyond Codependency , the Codependent´s Guide to the 12 Steps, and a few others, in order to move past the feeling that if only others did this or that I would feel better, my life would make more sense, and I would be happier. Throughout the years, I´ve had to dust off these books and reread them at different times, because codependency is not something that simply goes away. 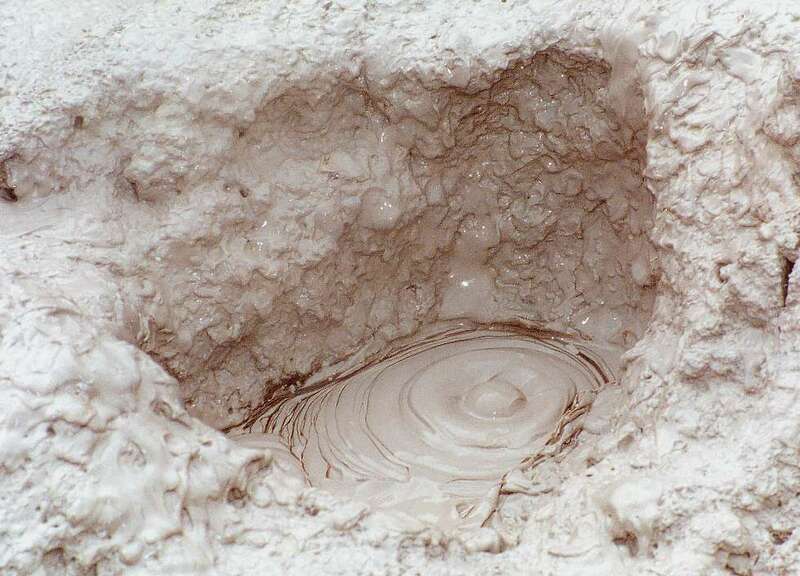 It may resurface under challenging circumstances. So, here I am, revisiting this bestselling author and all of her books. - Think you can change people, places and things, and you try hard to! The list could go on and on, but most of us can probably relate to at least one of the above. The bottom line is that really, we cannot put our happiness in anybody else´s hands. We also cannot think we hold the key to someone else´s happiness. Each one of us may not always be to blame for what is going on in our lives, but we are definitely responsible for making it better. And we cannot make everyone happy. So, let´s make ourselves happy, detach, and live in the present. Melody Beattie continues to write books, also about grief, after her son was killed in a skiing accident. On my last post on goal setting, a friend stated that she had decided not to make resolutions or set goals for the New Year because she had learned that it only set her up for disappointment. “I put too much pressure on myself when I don't achieve them. I've finally accepted that I can live each day as a gift and find opportunity and learning experiences from each one,” she wrote. There is nothing like knowing yourself! What works for one personality doesn’t necessarily work for another. I´ve been running since I was a kid, mostly for my own enjoyment, and because it clears my mind. Lately a friend of mine has been asking me to run a half marathon with her. I’m used to running with no goal in mind, just for pleasure. But before the year ended, I felt the itch of a challenge and started to increase my mileage. It felt good to know I could run over 5 miles at a stretch, but it wasn’t so much fun to experience joint pain and fatigue. At one point I was over trained and exhausted. I gradually cut back to my normal pace, which is rather moderate and realized that I don’t want to run a half marathon. I want to continue to enjoy running at my own pace and in moderation. I feel much better physically and emotionally already. Running a few times a week for almost 40 years, consistently and moderately has taken me to a place of fitness and wellbeing that I enjoy. It may not work for other more competitive types, but it works for me. So, I crossed off “running a half-marathon” of my list of goals for the year!